It's almost second nature for Christians to call God Father. Jesus taught his followers as much, although for them it was apparently a surprising practice. The worshiping community of the Old Testament used fatherly images for understanding God's character and actions, but "Father" was not a common way for believers to address God. InKnowing God the Father Through the Old Testament, Christopher Wright explores in depth the images that pervade the biblical narratives, psalms and prophetic texts of the Old Testament. God is acknowledged as tender yet terrifying, challenging to the nations and yet intimately personal, offering loving care, provision, discipline and forgiveness. This is the God whom Jesus knew, and whom we can know, as Father. Such knowledge of God is far from merely devotional or doctrinal, but governs our worldview, personal and social ethics, and expectations of the future. 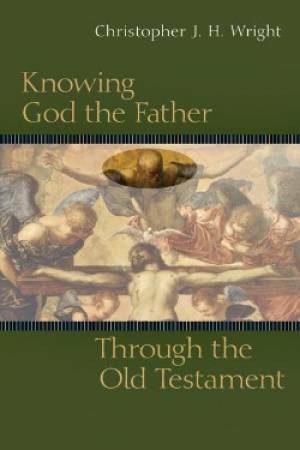 Knowing God the Father Through the Old Testament by Christopher J.h. Wright was published by InterVarsity Press in May 2008 and is our 54175th best seller. The ISBN for Knowing God the Father Through the Old Testament is 9780830825929. Be the first to review Knowing God the Father Through the Old Testament! Got a question? No problem! Just click here to ask us about Knowing God the Father Through the Old Testament.